By now you might know that when choosing a wedding band, the possibilities are endless. You may have already chose the material and style of your forever ring – but have you considered the finish? Whether you like the glitz and glam of a polished finish or the durability of a hammered one, we have compiled the various wedding and engagement finished in one place for your research convenience. 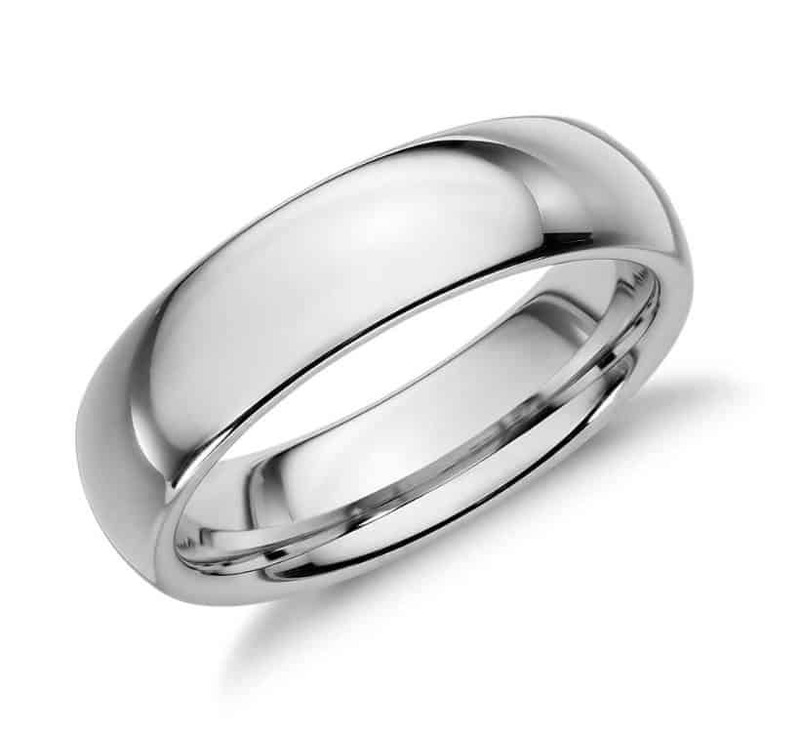 A vast majority of wedding bands are polished. This popular look is obtained through polishing a metal to the point where it becomes reflective. Polished wedding and engagement bands are smooth and have no texture to the touch. Polished wedding bands compliment gemstones that have high luster, though they look pleasing with all stones. Despite its glamorous appearance and understandable popularity, polished wedding and engagement bands loose the retroactivity over time and need to be repolished in order to not become dull. Satin wedding and engagement rings have all the desirable features of polished wedding and engagement rings without the shine. This timeless style is smooth to the touch and has an elegant matte appearance. Satin finishes don’t demand as much maintenance as polished finishes do due to their naturally dulled sheen. Due to their classic appearance and ability to withstand daily wear, wedding and engagement ring bands with a satin finish are gaining popularity amongst modern jewelry designers and consumers. The brushed finish is a play on the satin finish but adds it’s own pizzazz. Like the satin finish, the brushed finish is a dull matte. Unlike the satin finish, the brushed finish isn’t smooth in texture. The brushed finish, in appearance and texture, seems as though it has been coated by a coarse paintbrush, leaving the trail of its bristles behind. The brushed finish requires less maintenance than both the polished and satin finishes do because it hides every-day scuffs and dings better than the prior options. 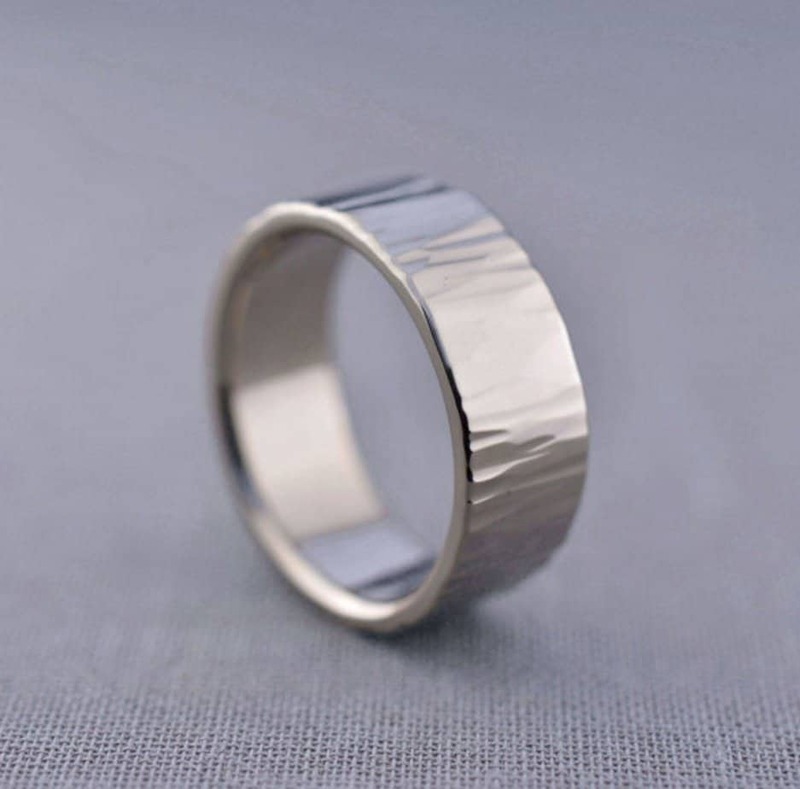 The brushed finish is the ideal wedding or engagement ring finish for a bride or groom that don’t want the hassles of worrying about the damage their ring may be undergoing, while still desiring a sleek and fashionable design. A wirebrushed finish for wedding and engagement rings gets its inspiration from a brushed finish but its effects are heightened. While a brushed finish resembled the smooth and serene strokes of a paintbrush, the strokes on a wirebrushed finish are much more harsh and distinct, much like those of an entity that has been repeatedly scraped with a wirebrush. The “brushstrokes” of a wirebrush finish also lack the tranquil uniformity of the brushed finish. 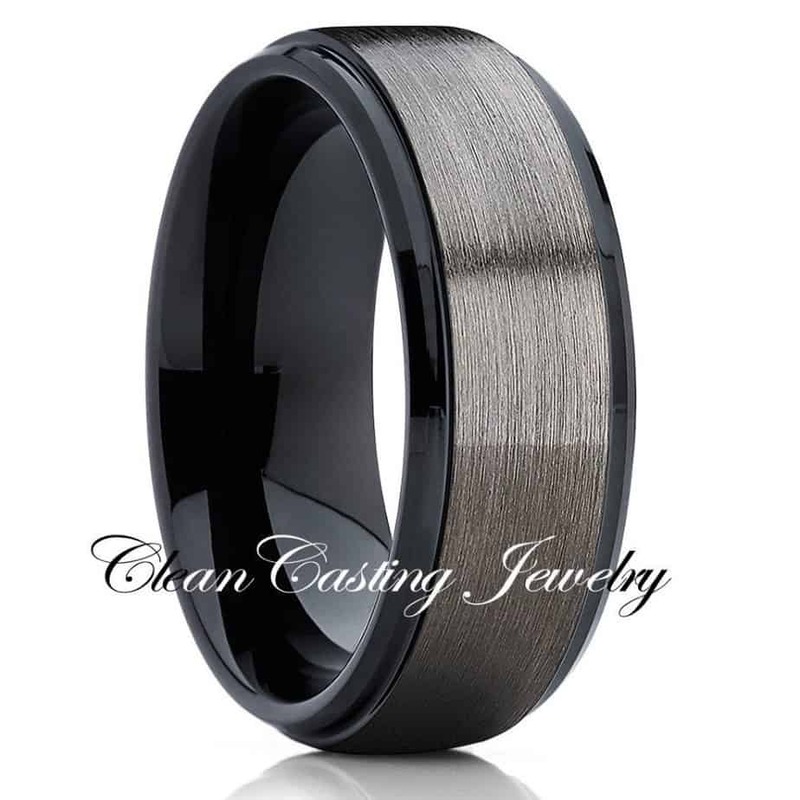 The wirebrushed finish is ideal for an individual that desires an additional factor of ruggedness and masculinity in their wedding or engagement ring. 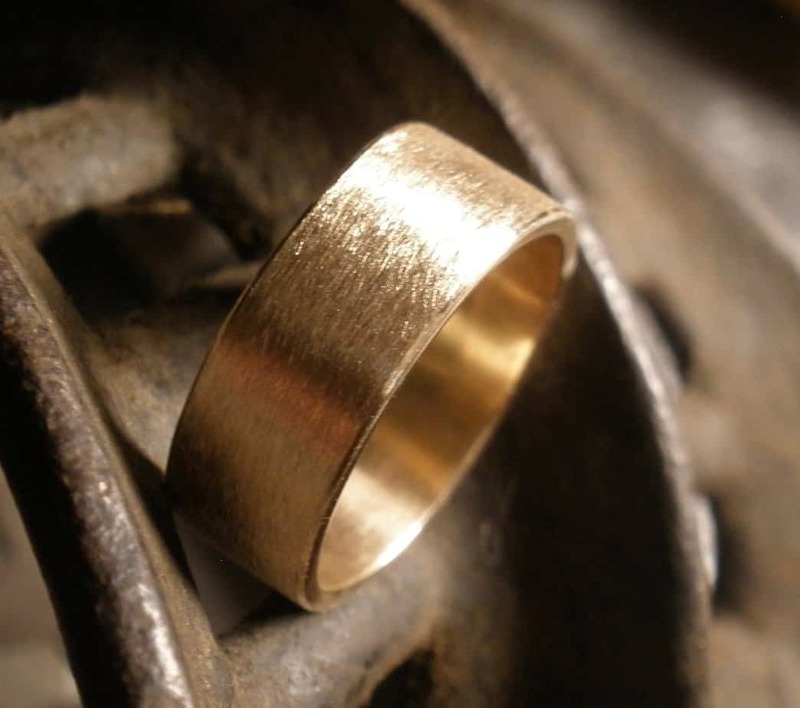 The hammered finish can be either polished or matte and focuses primarily on the texture of the metal used for one’s wedding or engagement ring. 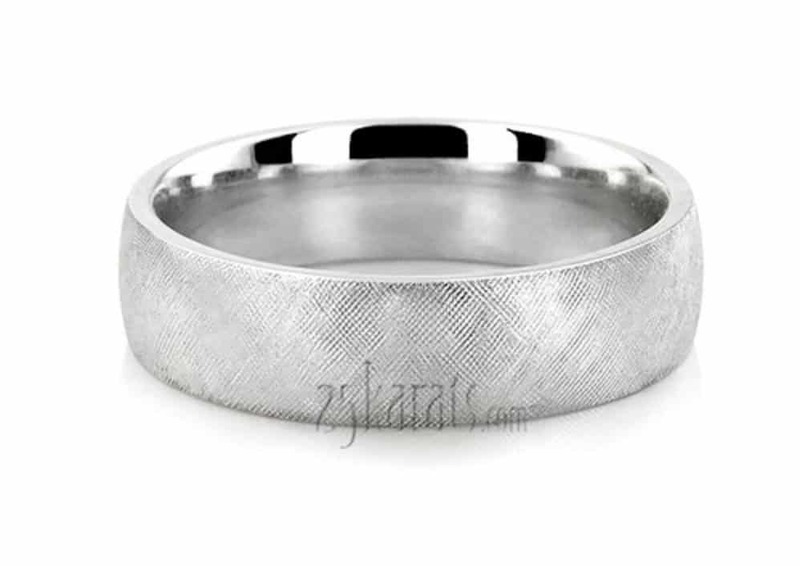 A hammered ring will appear as though the band has literally taken several hits of a hammer that have left behind a dented design throughout the band. Creating this look is two fold – first the band gets hammered, then it achieves its desired sheen. 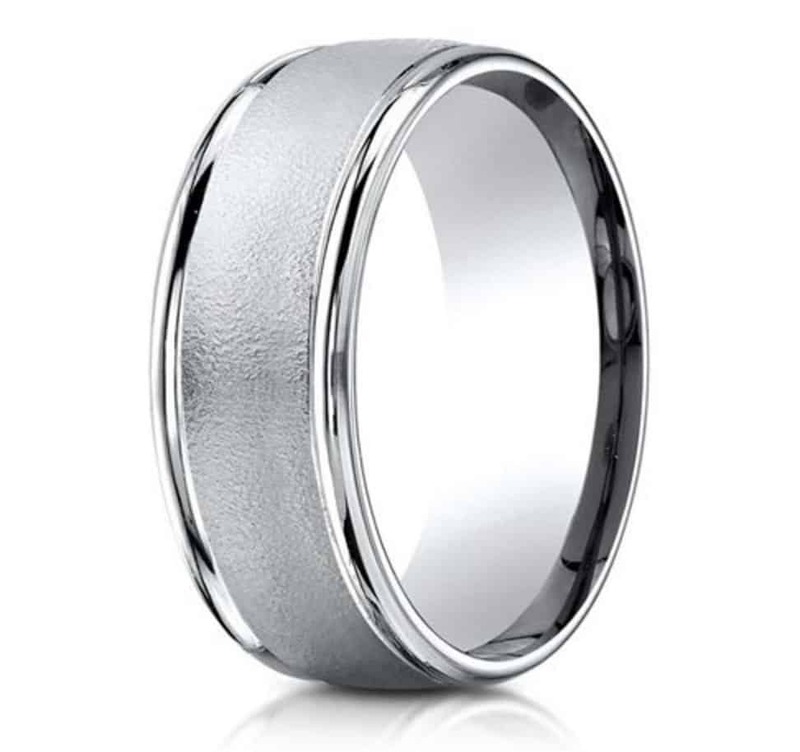 Hammered wedding and engagement bands have become quite popular amongst designers that create male wedding and engagement rings due to their durability and ability to hide substantial scuffs and dings. We don’t want to exclude the ladies on this one though because these rings also pair beautifully with light colored diamonds, gemstones and metals to create delicate rustic chic wedding and engagement rings. 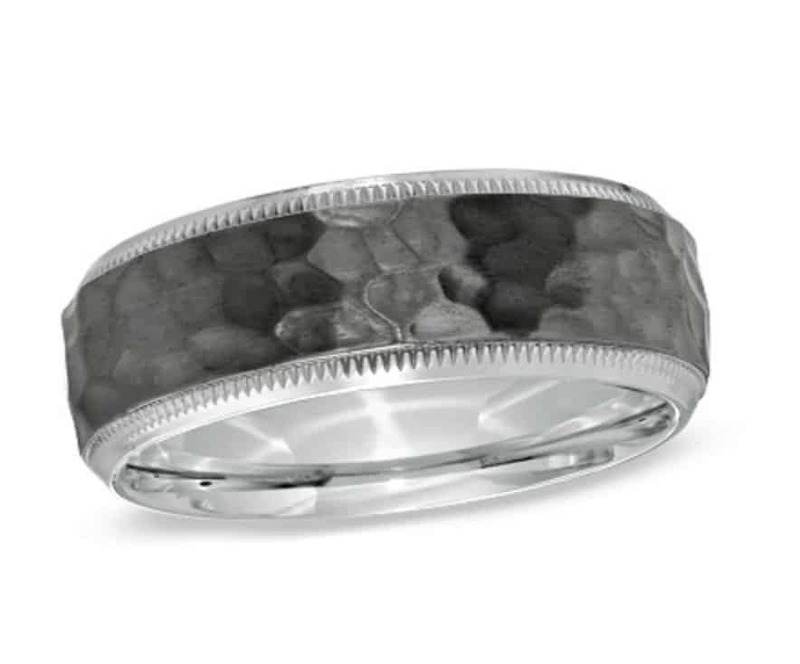 A rippled finish on a wedding or engagement ring is a play off of the hammered finished. A rippled finish essentially provides the same hammered appearance, but one that is in achieved in a coherent design that resembles the ripples of protruded water. The ripple effect can be either a shiny polished or a dull matte and will hide a majority of the scuffs and dings obtained by the rings through daily wear. The rippled finish is ideal for a bride or groom looking for an engagement or wedding ring that has been inspired by nature and would be beautifully complemented with a blue diamond or gemstone such as the light blue aquamarine or the ocean colored Emerald. 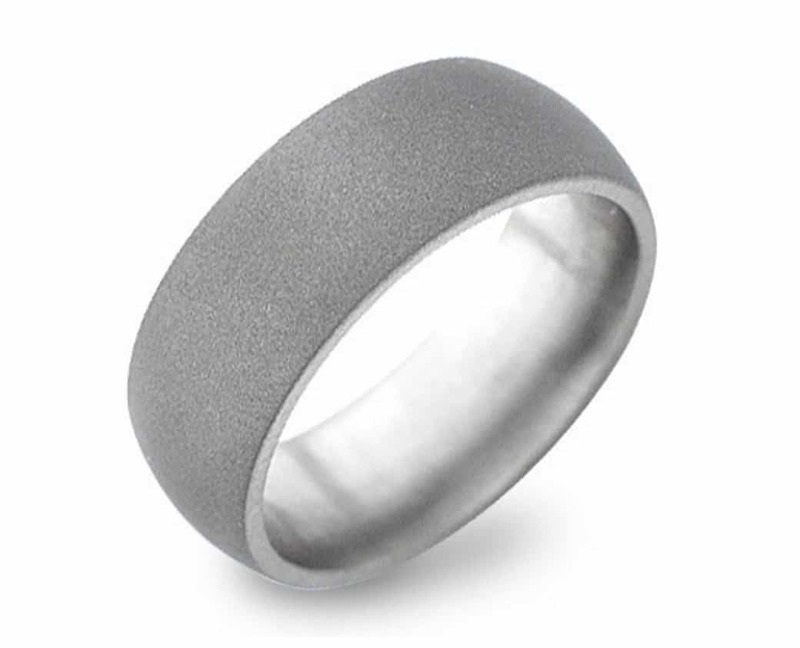 The sandblasted finish for wedding or engagement rings is unlike that of the ones previously mentioned. This finish, to the best of a verbal explanation, looks and feels as though the metal has been blasted with sand time and time again(makes sense, right?). The outcome is a grainy appearance and texture to the wedding or engagement band that looks and resembled sandpaper or the tongue of a cat. Sandblasted wedding and engagement rings can become tedious as the texture does snag, but this unique appearance can still be attainable with a clear coating on the metal. Sandblasted finishes are also popular options for rings that have one material inlaid into another, where the sandblasted layer is too deep to snag onto other items. If your goal is a wedding or engagement ring that is unique in every way possible – a sandblasted finish may be the perfect fit for you! Of the finishes discussed, the florentine finish is the most unique, the most expensive and the hardest to find. The florentine finish consists of an intricate lattice woven into the metal, resulting in a captivating and timeless band design. Unfortunately, the process of properly creating this lattice is time inclusive and requires extremely fine workmanship – both of which result in high prices for a band which does still carry the possibility of scratching and dinging. While we love this finish, we recommend it for anniversary jewelry rather than the daily wear of wedding or engagement bands.